Published by: Ibn Sina Academy of Medieval Medicine & Sciences, accredited & designated as 'Centre of Excellence' by Ministry of Health & Family Welfare, Govt. of India. 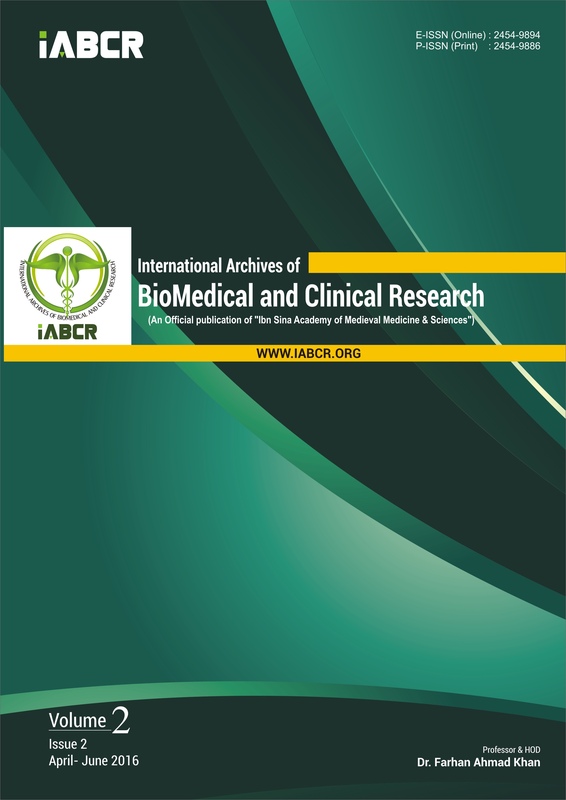 International Archives of BioMedical and Clinical Research by(IABCR) is licensed under a Creative Commons Attribution-NonCommercial 4.0 International License.